This quiet townhome community in the heart of Jupiter features 122 homes ranging in size from two to four bedrooms.Community amenities include a pool, tennis court and clubhouse. Maplecrest's convenient location is just walking distance to Publix, Starbucks, nature trails and is directly across from Jupiter Medical Center. Close to everything Jupiter has to offer, shopping, dining, entertainment, and only minutes to our pristine Jupiter Beaches! This pretty community has one of the lowest HOA in Jupiter and is zoned for A rated schools. This lovely 2BR/2BA spacious townhouse is ready to move in! Features vaulted ceilings, large bedroom loft with 2 walk in closets & full bath. It has a 1st floor master bedroom with on suite bath. Freshly painted, new A/C system (2017) and newer hot water heater (2015). Large fenced patio is perfect for grilling and enjoying outdoors. 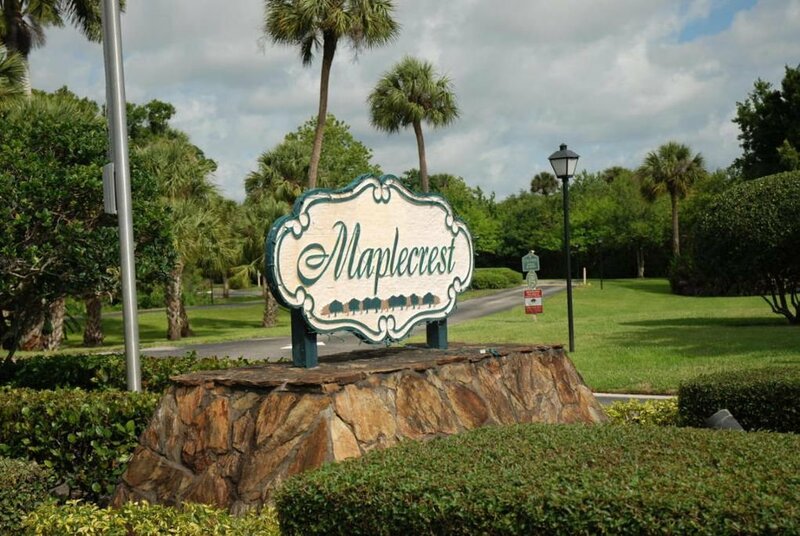 Maplecrest is a beautifully maintained, centrally located community in Jupiter just minutes to beaches! !